I'll be taking orders until February 6th (or until I reach my limit) for Valentine's Day! If you would like to order more than one cake, please submit separate order forms to keep my records straight. All cakes are 6” size and cost is $30. 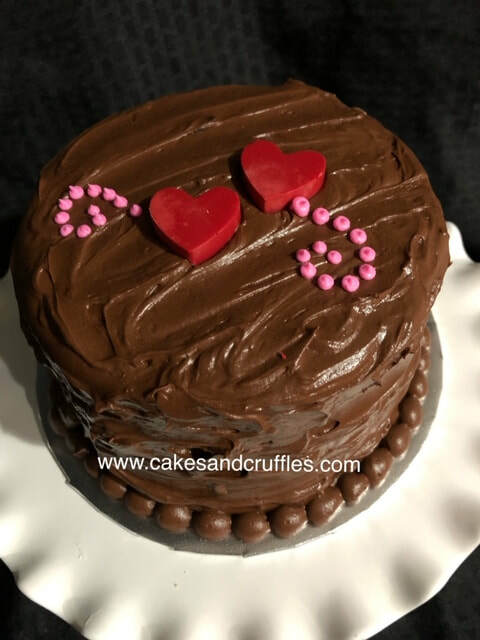 Chocolate Kahula Cake (alcohol in cake & filling) with a Chocolate Kahula Cream filling and iced with Chocolate Fudge Buttercream and decorated with a few red chocolate hearts. You can taste the Kahula in both the cake and the cream filling, so if you love Kahula….. you will love this cake! 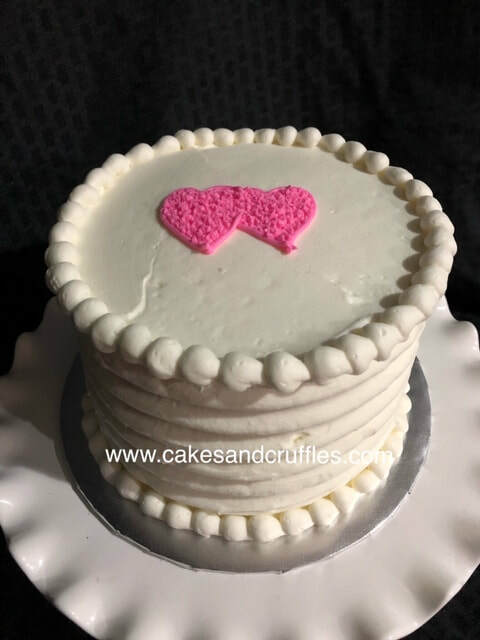 Irish Cream Cake (alcohol in cake & filling) with an Irish Cream filling and iced with my standard Vanilla Buttercream. 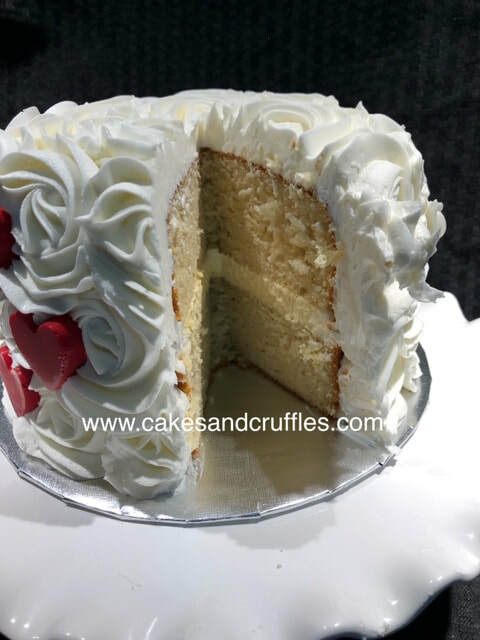 This is one of my favorite cakes - I love Irish Cream! 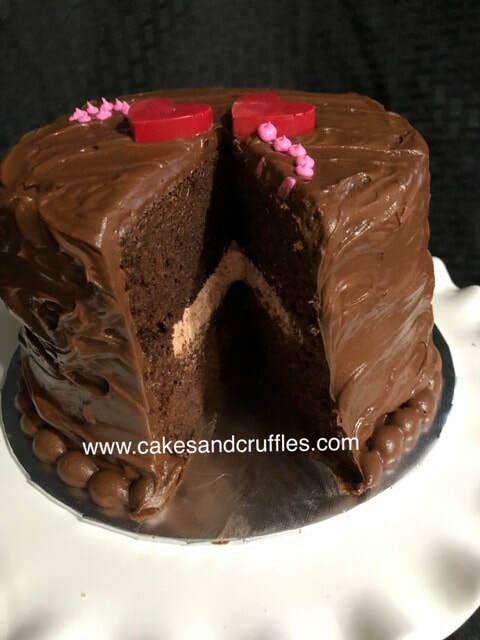 You can taste the Irish Cream in both the cake and filling. There will also be a few red chocolate hearts as decoration. **I can also make these cakes without alcohol (non-alcoholic versions). Please make a notation in the comment section if you would prefer your cake without alcohol. 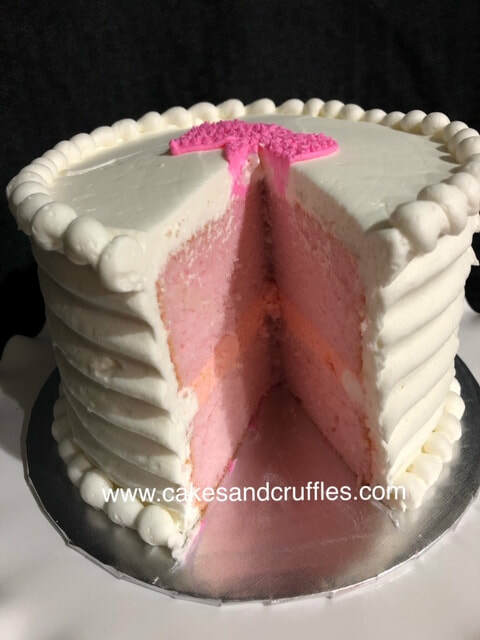 These cakes are all 6" and serve 10-12 --- or cut in in half and it will be the perfect serving for 2! I realize these cakes are a bit more expensive than my normal 6" cakes, but I'm going to have a hefty "alcohol" bill making these! The 'State Store' employees will love to see me!!! 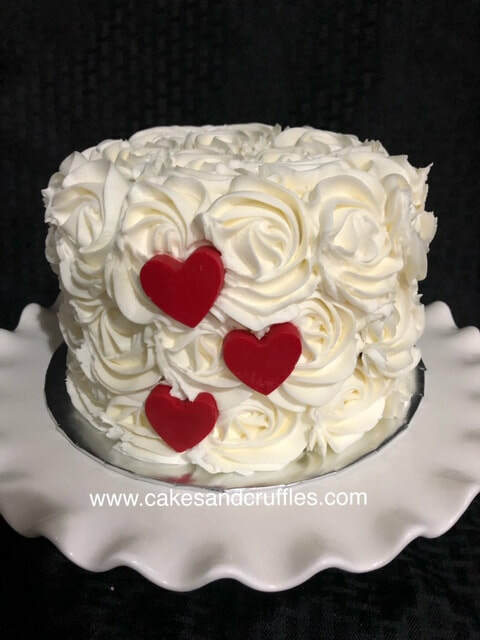 Pickup will be at my bakery location in Brush Valley on Wednesday, February 13th (late afternoon/evening) or Thursday, February 14th (morning). Payment will be due upon pickup. Cash, Check or Credit/Debit accepted. I will use the email address you enter above to contact you about pickup times. If you don't see an email from me confirming your order within 48 hours of placing this order - please reach out to me. I did CHRISTMAS cookie trays in late December and I had two customers that never got any of my email concerning pick-up days/times (I sent several emails to all my customers that ordered cookies). I was unable to connect with them - my emails must have been going to their junk mail - and neither of us knew it was happening. I got stuck with two cookie trays that never got picked up. I will EMAIL everyone! !